Are you ready to open your doors to new business? Your business can share in our valuable and rewarding New Zealand convention industry. We invite you to join Conventions & Incentives New Zealand. 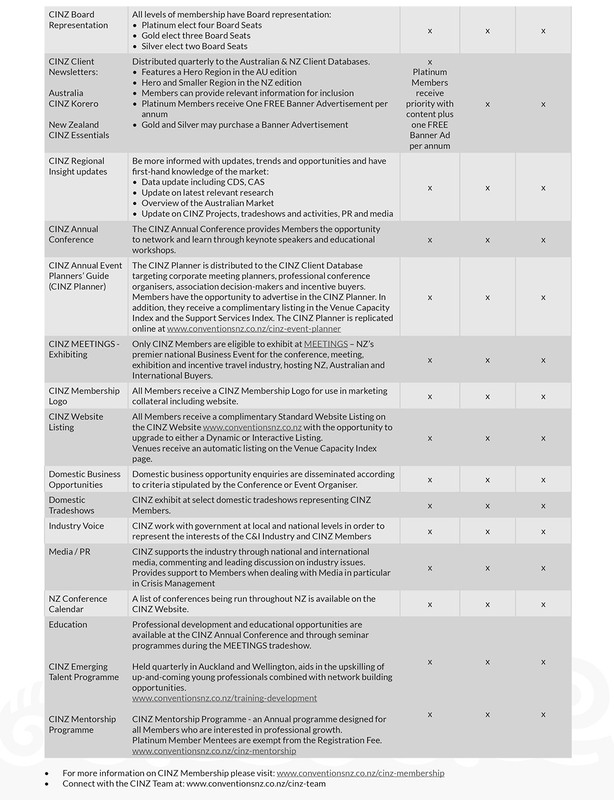 The CINZ membership model offers three different categories of membership in a tiered structure – Platinum, Gold and Silver. Platinum and Gold membership levels have access to international marketing opportunities, whilst Silver is focused on domestic activity only. It is envisaged that key industry stakeholders will be Platinum Members of CINZ. Platinum membership will be offered to international airlines, large convention centres, major convention bureaux, international hotel chains and other significant key industry stakeholders involved in the convention industry. 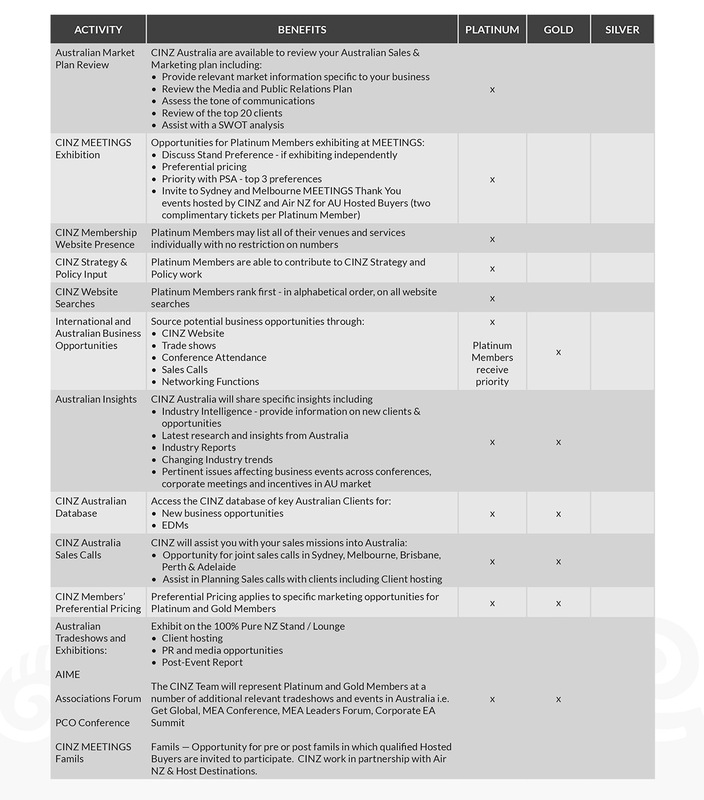 Platinum Members will receive priority with all marketing activities and will be involved on both a governance and marketing level in formulating policies and strategies for CINZ. Platinum Members will also have priority of place in agreed international marketing initiatives on a user pays basis. Gold membership is available to operators who are involved in both domestic and international convention marketing. Gold Members are able to participate in international marketing initiatives and strategies, as well as receiving international business opportunities. This membership category would be appropriate for domestic and internationally focused PCOs, hotels and other operators who have products or services that are suitable for the international convention marketplace. This level of membership is aimed at domestic-focused operators, including hotels, PCOs and others who have little or no interest in the international marketplace. This membership category includes participation in domestic marketing initiatives and strategies as well as receiving domestic business opportunities. * Membership investment rates are exclusive of GST. Click here to complete the CINZ Membership Application Form. Becoming a member of CINZ offers you a valuable range of benefits. 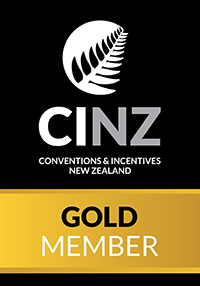 Please click here to download a printable version of CINZ Membership Benefits.